Technology is taking its toll on the drive-through teller lanes. 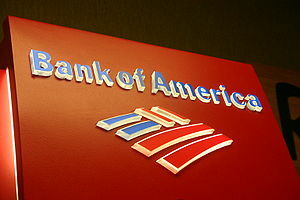 Bank of America BAC +1.60% said its closing some of the car-friendly lanes, although it declined to specify how many will be shuttered, reports NPR. The reason? Mobile banking and online services are reducing the need for the drive-through lanes. While millions already bank via mobile phone, that number is expected to keep booming. Last year, 33 million Americans used mobile banking, which projected to almost triple to 96 million by 2016, according to Aite Group. One in six smartphone owners use their device to transfer money, pay bills and check balances, Aite Group found. And with more employers using direct deposit, some bank customers have reduced the need to visit a teller or use a drive-through window. Indeed, Bank of Americas decision to shut down some drive-through teller lanes raises the question of whether this marks the beginning of the end for an 80-year-old tradition. One of the first drive-through teller lanes was highlighted in a 1930 issue of Popular Mechanics, which noted the “thief-proof” slot in the tellers window. Read More Apps are killing B of As drive-through teller lanes- MSN Money. This entry was posted in News from the Soul Brother and tagged Bank of America, Bank teller, banking, BOFA, Drive-through, Mobile banking, money, technology, United States. Bookmark the permalink.